Stone was a mentor, a teacher, a motivator, but most of all a leader, yes all describe the man, the person who dedicated his life to public service and economic development. Aubry Stone always viewed the glass as half full versus half empty. His optimistic outlook was demonstrated by his belief that no life obstacle is insurmountable. It is simply a matter of attitude, tenacity, and focus. Mr. Stone was currently the President/CEO of the California Black Chamber of Commerce (CBCC) and Director of the California Black Chamber Foundation. Appointed by the Governor, he served as a California Commissioner for Economic Devel­opment. He aggressively led the California Black Chamber in such public policy issues as: Prop 187, co-authored the 9th circuit injunction against implementation of Prop 209, publicly advocated against Brown-fields, the urban environment, insurance redlining the inner city impact of bank acquisitions and mergers and lead the charge of new and emerging markets. Aubry’s single-minded focus was the creation of individual and community wealth through small business growth development and sustainability. 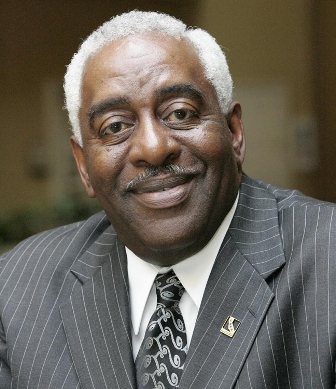 He was the Chairman of the National African American California Chamber of Commerce and also served on the California Regional Community Utilities Diversity Council, the Citibank Regional Community Board, the Pfizer National Minority Business Board, the California Small Business Advisory Board, the Cal-Trans Small Business Board, and was a member of the Greenlining Coalition. He served on the boards of the NAACP, Sacramento Black Chamber of Commerce, the Mayor’s Economic Development Council, the District Attorney’s Com­munity Relations Board and the State Fair Minority council. Aubry Stone consistently provided vast insight on economic development through business creation, growth and sustainability that granted him the opportunity to speak to audiences in Chicago, Atlanta, New York, Phoenix, Seattle, Florida, Hawaii, Howard University, University of Southern California, and California State University, Fullerton. Aubry is survived by his 4 children, 9 grandchildren and 4 great grandchildren.